marksman role easier, and making bowmen not need as much experience, strength, and skill. 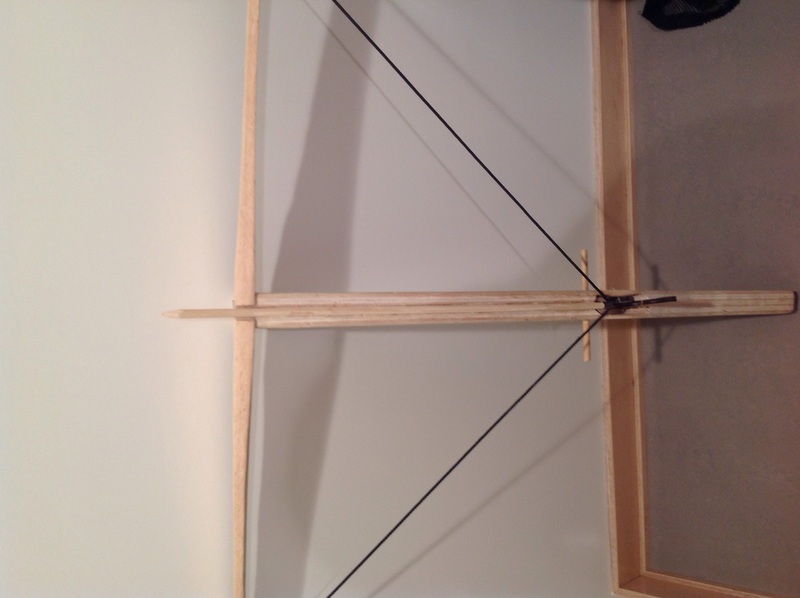 attach the bow to the stock at an 84* angle so that the string would not pass over the bolt. locking lever down, in other words the string would not get released so it could not fire. having a small toothed blade moving up and down rapidly. In addition to saws we also used a large verity of tools such as a hand planer. We used a hand planer to thin the bow. Thinning the bow added flex to the wood. A hand planer is a small tool with a flat adjustable blade in it. A hand planer works by cutting a thin section of the wood off at a time. This was hard work because using a hand planer involved moving it against the wood repeatedly. The next tool we used was a dremle tool. A dremle tool is a small handheld drill-like device that can have multiple tips for different purposes. Two of the tips that we used were the circular etching tip (for thinning, etching, and smoothing), and a the saw-like cutting tip (which of course was used to cut). These are just some of the tools that we used to create our crossbow. I created a Raspberry Pi for my project. I had to use code to install things on my Pi. I also had to use code to sign in and sign out. I added LED's to the clear case (the image above shows Mr. Umekubo's lazercut case). I used 9v batteries to power the LED's. I also had to do some research on resistors. My final product was fantastic. I learned a lot while creating my Raspberry Pi. 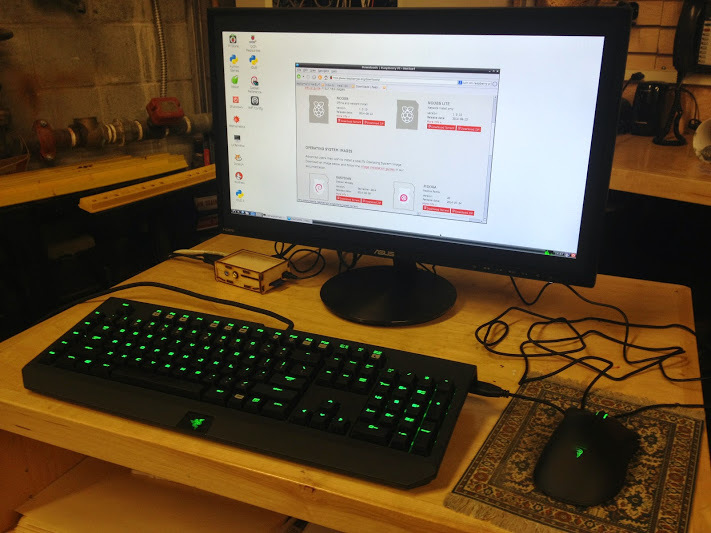 I bought a very cool keyboard and mouse, and used a standard asus 24 inch monitor. The Raspberry Pi model I used was a b+ model. I ran into a few problems while creating my Pi, one of them was sound. I tried to get my Pi to be able to play sound, but there were a few programs that were not compatible with the b+. I could not resolve this problem, but I resolved a different problem that occurred earlier on in the creating process. This problem was that I did not have an ethernet cord. Project Description: What did you make? What does it do? We have a vehicle that has two DC motors and motion sensor. What was the most challenging part of the project? The most challenging part of our project was making a sturdy, but stable base. What was the most fun or interesting? The most fun and interesting part of the project was accessorizing the car. What did you learn by going through this process? That being on task REALLY makes a difference. 6. Photos and/or Videos: Add pictures? Video down below. 7.If you should change one thing about the final project what would it be? If I could change one thing about the final product I would change the base, because it works but it is not as stable as I would like.